The Hauz Khas Metro offers tourists with a peaceful abode adjacent to the Hauz Khas Metro stations on the Yellow and Purple metro lines. The place sits right next to the Mayfair Gardens and the High Commission of Malta. The Hauz Khas Metro offers an in-house restaurant, dining area and laundry services for the worn-out visitors. 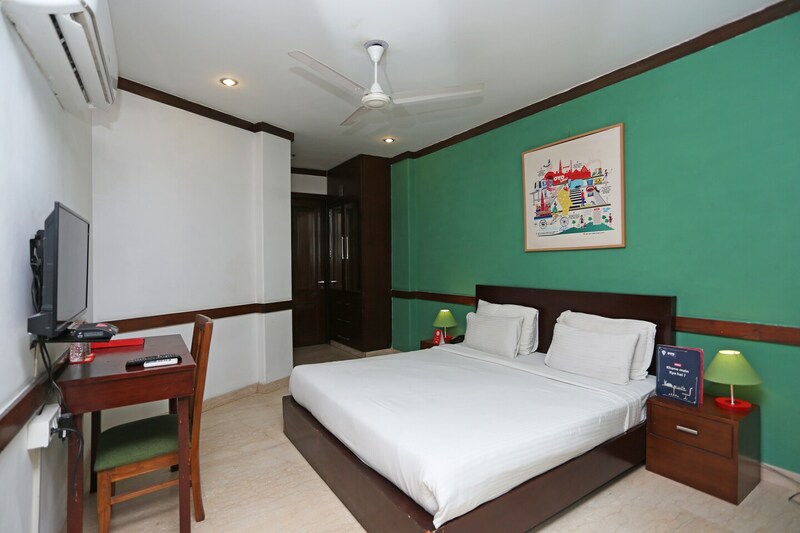 The bedrooms have the necessary modern utilities like TV, geysers, room heaters, ACs and free Wi-Fi.The nearby restaurants offer varied dining options, which include The Golden Dragon, Wushu Chinese Food Master, Nizam's Kathi Kebab, Karim's Mughlai Restaurant, Urban Village Restaurant and the Grub Pub. The Gaudiya Math, Chor Minar, Bijai Mandal and the Sarai Shahji Mandal can be visited.